It is not always convenient to listen to voice mail. When in a meeting or a library, where taking a phone call is impossible, listening to a voicemail may be just as impossible. Since most of us read faster than we can listen to a voicemail anyway, one obvious solution is to find a way to transcribe our voicemails to text. Yap, an app for iPhone and Android is the best of both worlds. 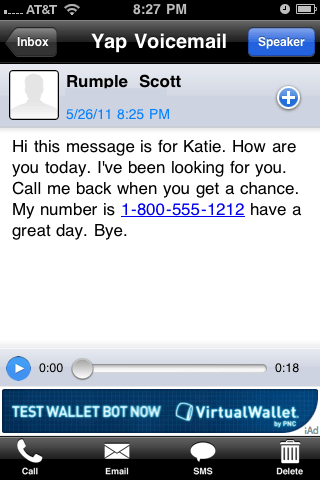 Not only does it transcribe your voicemails within seconds of when they are received, it also gives the capability to listen to the message and call, email or text the sender in return. 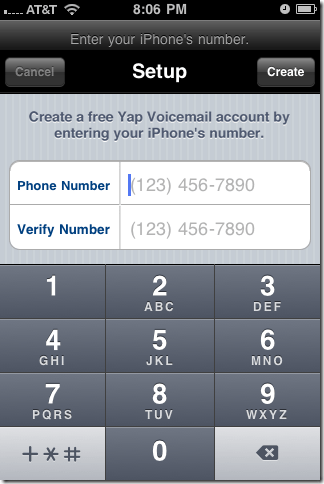 Yap is a free app available in both the iPhone App Store and the Android Market. Once downloaded, click the app to set it up. You are first asked to enter your cell phone number. Set up instructions then appear on the screen. 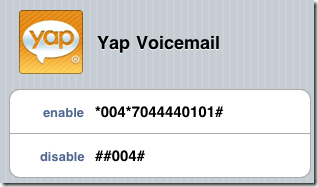 First, you must scroll through your contact list to find Yap Voicemail. Next, click the Enable button at the top. 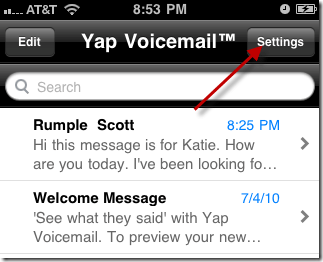 Note that this is also where you can disable the service if you do not like it and wish to go back to your original voicemail. In the window that appears, click the green Dismiss button. 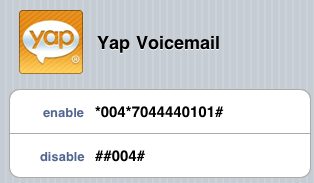 Your Yap Voicemail is now set up. When someone calls you and you do not answer, the call is forwarded to Yap, who then transcribes the message. A notification with the message appears on your phone. Open the Yap app to read the message in its entirety. An option to listen to the message appears at the bottom of the screen. 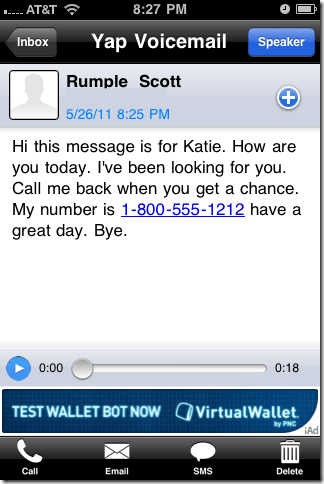 Options to call, email or text the message sender are also available at the bottom of the screen. 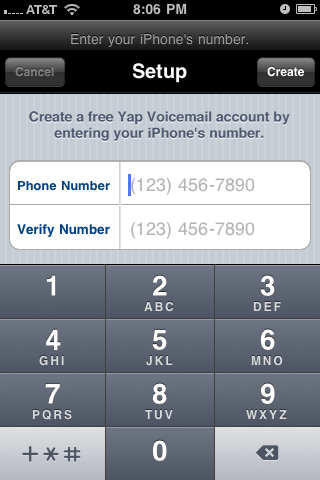 You can also customize the greeting for Yap by clicking the Settings button on the first page of the app. 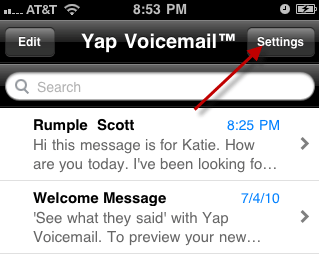 Yap translates messages very well—as good, if not better, than Google Voice. It works seamlessly with iPhone, leaving us little room for complaint. The service is ad supported, so expect small ads to appear at the bottom of the app.